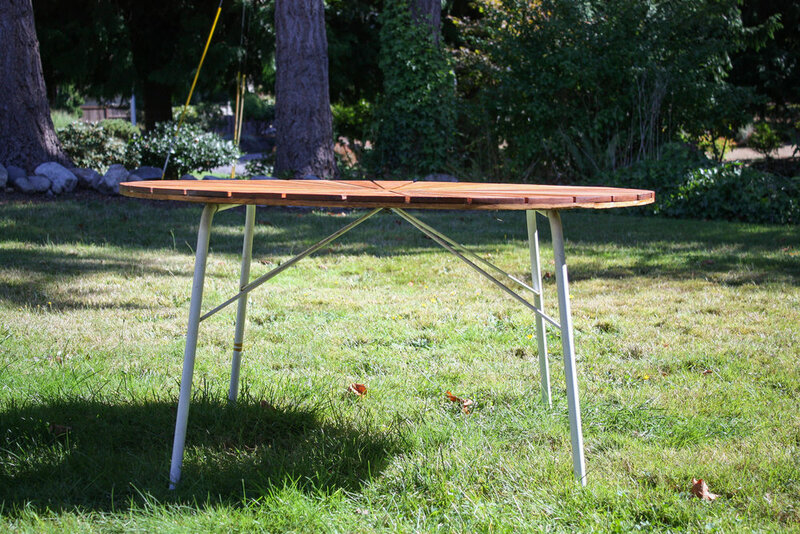 Teak Patio Table featuring solid teak petals. 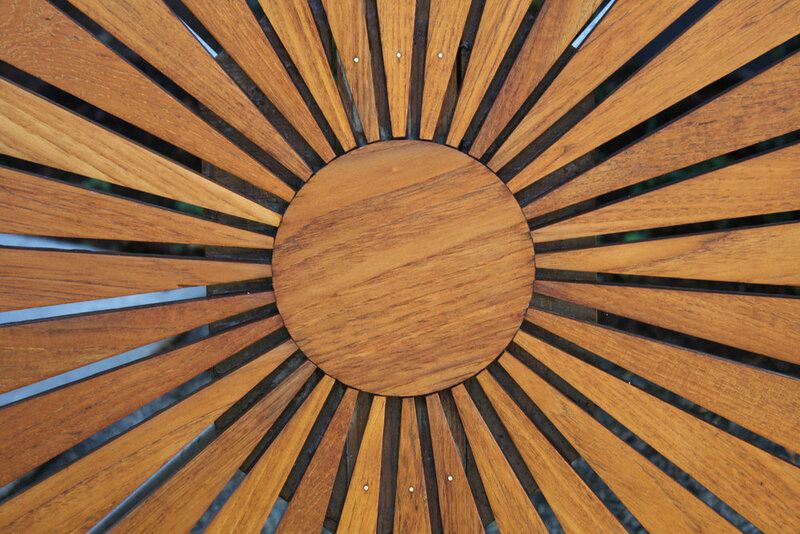 Looks like a giant teak sun. Amazing color variation across the petals. The legs can quickly and easily be folded in to the table making the perfect candidate for seasonal use since it packs up and stores so nicely. Not much else to say about as the pictures do the talking. Teak petals were sanded and oiled, they still retain their rich patina and light signs of use. The metal legs have light rust in spots as seen in the photos and one leg is missing its white footcap which can easily be replaced at any hardware store.